NEW YORK, July 6, 2016 – MCW, a New York-based non-profit organization dedicated to empowering youth to become positive agents of change in their communities, celebrated its 12th annual gala on June 28th at New York University’s Kimmel Center for University Life. The organization honored prominent people and organizations that share its mission and sustain its programs through their personal leadership and generous philanthropic support. More than 400 guests attended the event, which raised over $900,000 to support MCW’s youth leadership, community development, and oral health care efforts in the United States and Africa. 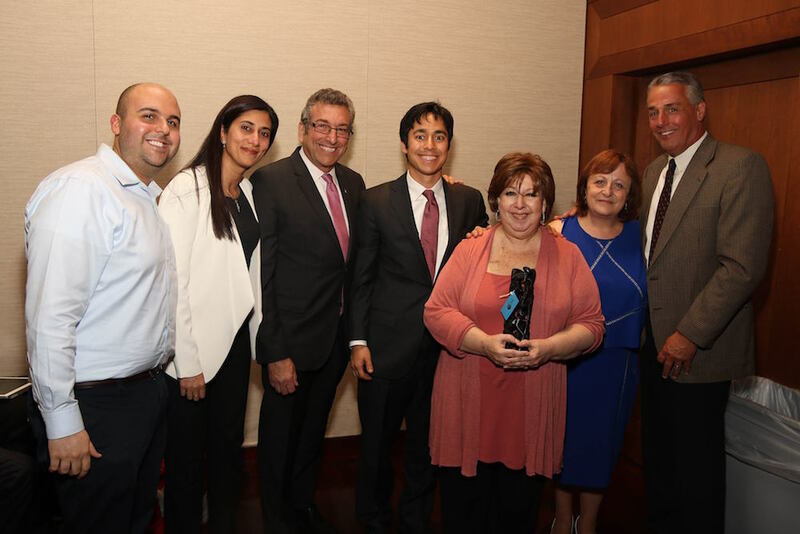 *The MCW Lifetime Achievement Award went to Roberta Richin, Director Emeritus of MCW’s Board of Directors. Ms. Richin is the Executive Director of the Council for Prejudice Reduction and has devoted her life to advancing equity, building capacity and increasing opportunity so every young person learns well, stays safe, graduates and participates in a rewarding civic and private life. *The MCW Community Partnership Awards went to Locke Lord LLP and Moneris Solutions. Locke Lord is a full-service, international law firm of more than 20 offices and a history spanning more than 125 years. With its global footprint, Locke Lord is committed to giving back to the communities in which its lawyers and staff live and work. This is reflected in the pro bono, charitable giving, community outreach and bar association activities undertaken by the Firm. The award was presented to Locke Lord by Stanley M. Bergman, Chairman of the Board and Chief Executive Officer of Henry Schein, Inc.
Moneris Solutions is one of North America’s largest providers of payment processing solutions. Moneris’ philanthropic work focuses on its core values: providing people and business the right tools to succeed, so that their surrounding communities also succeed. *The MCW Leadership Award went to Sharon Katz & The Peace Train. Ms. Katz is a South African musician and music therapist who helped form the country’s first, 500-voice multicultural choir and band after Nelson Mandela’s release from prison. In 1993, they toured South Africa to help prepare the country for its first democratic election. A similar project, “The Peace Train Tour Across America: Putting the ‘United’ Back in the USA,” begins touring on July 9.